Standing room only a train from Bangkok to Aranyaprathet, a town on the Cambodian border. Songkran is Thailand's traditional New Year celebration. Some variation of the holiday is celebrated throughout the Theravada Buddhist world - Myanmar, Laos, and Cambodia all have their own versions of Songkran. 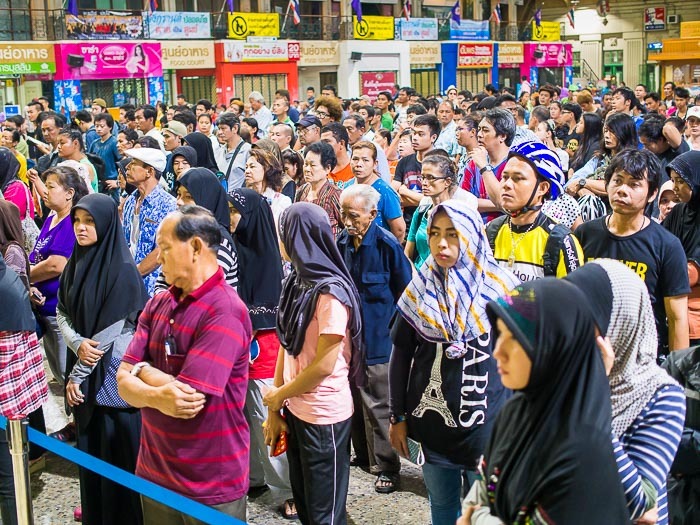 The line to buy train tickets at Hua Lamphong Saturday morning. Songkran is a massive public holiday in Thailand. The country essentially shuts down for at least three days (this year five) as people flee Bangkok. 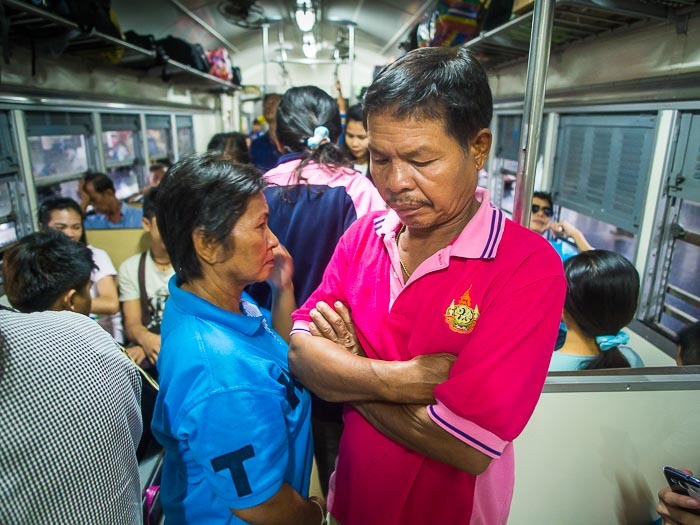 Workers, drawn to Bangkok for economic opportunities, go home to see family. Upper and middle class Thais go to the beaches or parks upcountry. Trains, buses and airlines are packed. 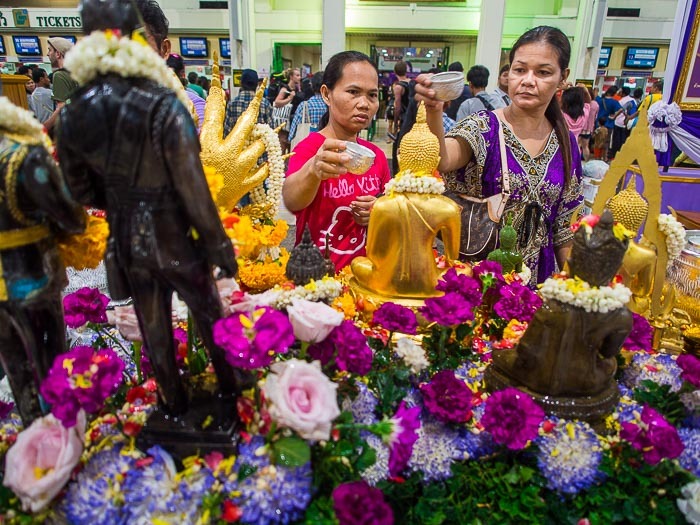 Women pray at a Songkran alter set up in the main concourse at Hua Lamphong train station. 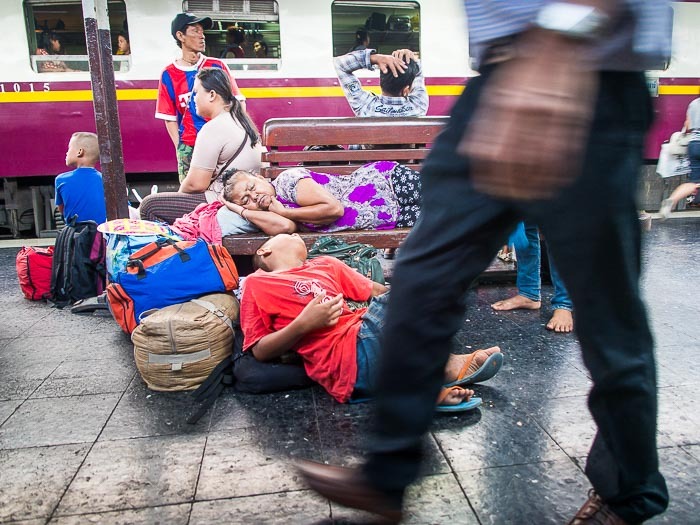 Waiting to leave Bangkok on a third class train. I've photographed Songkran a lot in the past. This year I'm going to take a break from the holiday. I've been lucky through the years. I've photographed the water wars and super squirter shoot outs without damaging my gear, but eventually everyone's luck runs out. I'll photograph the quieter, religious, aspects of the holiday and avoid the insanity. 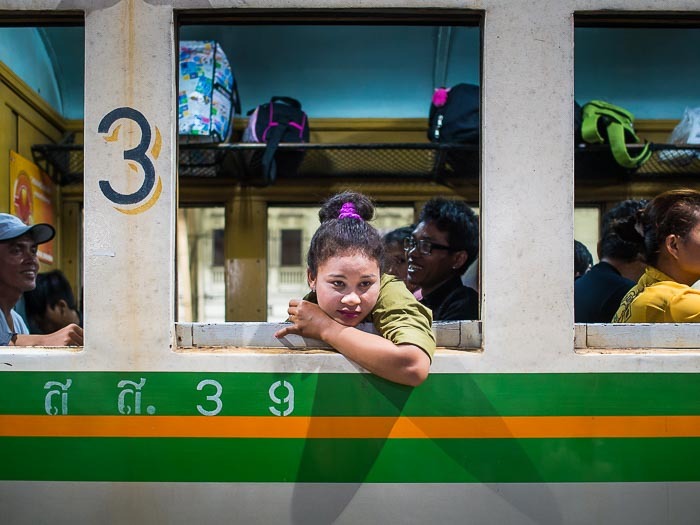 There are more photos of Songkran holiday travel in my archive or available from ZUMA Press.